Today, most organizations depend on some type of cloud service to run their business successfully. As a result, cloud service providers are expected to deliver 24/7/365, uninterrupted services to these businesses. In the digital era where information is constantly available, there is never a good time for a cloud outage. In 2017, some credible cloud providers like IBM, Amazon Web Services (AWS), Google, and Apple all experienced cloud outages. While everyone, including cloud service providers, can fall victim to outages, there are some straightforward steps you can take to keep IT systems, up, running, and secure. What Compensation Does Your Cloud Service Vendor Provide? In February 2017 when an employee at Amazon Web Services tried to debug an S3 storage system, they accidentally typed a command incorrectly and many major enterprise platforms were down for four hours. As a result, these companies wondered if they would be compensated for their loss of revenue due to the downtime. Cloud service providers are all different. It is important to understand the SLA before agreements are signed. Some cloud vendors only offer minimum infrastructure and you are in charge of recreating your own redundancy to protect your data from downtime in their cloud. As you can expect, these providers are less expensive, yet put the task of managing data availability on you. Examine your SLAs closely to understand the level of compensation and coverage that your cloud provider offers. SLAs should cover you if your performance falls below what was guaranteed by your cloud vendor. Your cloud service provider should be able to share their risk mitigation strategy for cloud outages, and explain to you how their infrastructure is designed for uptime. Redundancy and security should be built into every detail of the vendor’s infrastructure. If not, it is time to find a new cloud service provider. Enterprises that spread their workloads across multiple locations add redundancy to their environment and greatly reduce the risk of downtime. Your business should never depend on a single point of failure. Adopting a multi-cloud, multi-location IT approach will reduce risk and provide greater flexibility to adapt to changing business needs. Seek out cloud service vendors with data center facilities in multiple locations that can spread your workloads across geographies. With this type of environment, your IT department and service provider(s) can work together to designate a primary and secondary site for your critical data. Amazon’s 2017 outage showed their customers that many things could break when just one object storage zone had a problem. A single point of failure approach is not an adequate environment for successful businesses. Redundancy should be built into your cloud provider’s data center facilities. LightEdge facilities are designed to weather nearly any conceivable incident with minimal to no downtime. Our colocation facilities have redundant isolated path power architecture for S+1 diversified electrical, multiple redundant utility transformers, generators, automatic transfer switches, main switch panels, UPSs, and PDUs. Selecting a cloud vendor with cloud-to-cloud backups will give you peace of mind in having a secondary copy of your critical data that you can failover to in the event of an emergency. Investing in a cloud service provider with stable data centers across multiple power grids is the safest choice. Hosting in multiple locations can also increase productivity by distributing traffic to the region closest to the end user. Cloud services are full of opportunity, but can also open avenues for hackers to exploit vulnerabilities and cause cloud outages. Your business must protect itself with the right security tools and processes. Choosing a cloud service provider that has an extensive security and compliance portfolio is important. Your data needs to be stored in a place where it is safe from natural disasters, such as hurricanes, earthquakes, tornadoes, tsunamis, and floods. Any facility where cloud services are held should be built outside of a 500-year flood plain area to avoid flooding. Man-made issues such as the potential for terrorist attacks also need to be considered. In a less populated area, there is lower risk because it is less likely to happen. Cloud hosting providers that comply with specific industry standards demonstrate an adherence to industry best practices and procedures. While your organization might not be highly regulated, finding a compliant cloud provider can be helpful when vetting out vendors. Maintaining security and compliance in the cloud is one way to avoid cloud outages. Whether an organization is regulated by HIPAA or PCI DSS, it is important to keep proprietary systems private in the migration process. Embracing security should be a major focus in your organization’s cloud migration checklist. According to the American Institute of Certified Public Accountants (AICPA), SOC Reports are designed to help service organizations (data center colocation providers) build trust and confidence in the service performed and controls related to the services through a report by an independent auditor. Each type of SOC report is designed to help service organizations meet specific user needs. According to the U.S. Department of Health & Human Services, The Health Insurance Portability and Accountability Act (HIPAA) created a national set of security standards for protecting certain health information that is held or transferred in electronic form. The Security Rule operationalizes the protections contained in the Privacy Rule by addressing the technical and non-technical safeguards that organizations called “cover entities” must put in place to secure patients electronic protected health information (e-PHI). According to the PCI Security Standards Council, PCI DSS offers robust and comprehensive standards and supporting materials to enhance payment card data security. PCI DSS provides an actionable framework for developing a vigorous payment card data security process. This includes prevention detection, and appropriate reaction to security incidents. Test, test, test. You will never regret being overly prepared for an emergency, so do not put off testing for failure. Cloud outages can be caused by external malicious attacks and insider threats or even a simple system update. Test and plan for everything, because most of the time an outage can be prevented. Testing for failure can include everything from testing the viability of a response plan to a storage migration process. Quickly acting and responding to an incident makes a huge impact. The cloud is a great place to test for failures because it is a staged environment. Organizations can replicate their systems in a staged layout to test production and analyze how it will perform in different situations. It is also a good plan to verbally walk through the company’s recovery plan to build confidence in those who must carry out the plan. In addition to testing for cloud outages, there should be a tested communication plan in place that fits together with your disaster recovery and business continuity efforts. Unfortunately, an often-overlooked part of mitigating cloud outages is the communication plan. In the event of an outage there should be an internal communication plan for employees and an external communication plan for customers or stakeholders. This plan should be reviewed annually or quarterly, depending on your company needs. This current communications plan could save your business and your customers immeasurable long-term costs. Communicating information during and following an incident to relevant parties is key when it comes to preventing or preparing for a cloud outage. It is important to consider backup communication methods. If your primary portal of communications was through a cloud platform, plan a secondary method of communication in case that portal experienced an outage. Internal alerts can be sent by email, overhead building paging systems, and by voice or test messages. The ROI of redundancy skyrockets in cloud outage scenarios. Critical data should be replicated across multiple availability zones and backed up. Many enterprises affected by the Amazon 2017 outage did not have a failover plan and it ended up costing them for not having a redundant back up plan. Of course, redundancy has its costs. Businesses must determine if having a redundant plan in the event of a cloud outage is justified. One of the biggest concerns about cloud services is the potential for loss of control and outages. 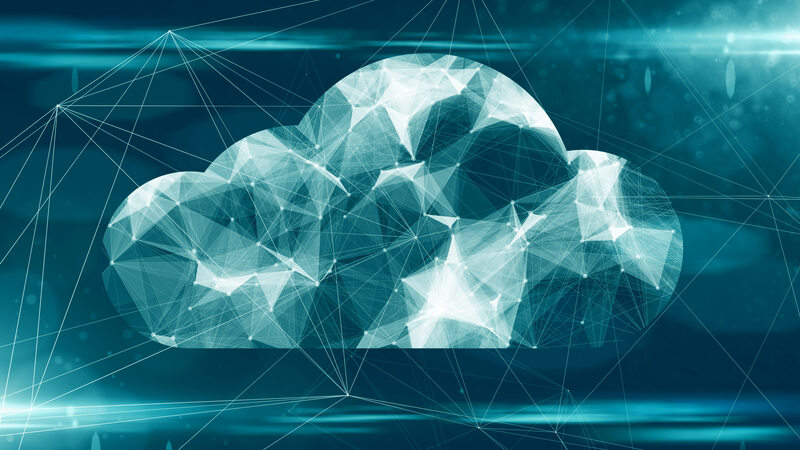 While cloud services have many benefits and can be a critical part to any business’s operations, it is important to have a plan in place to mitigate the risk of an outage. It is worth your time to learn about all the offerings that a cloud service provider has. LightEdge protects customers using our cloud services from top threats.